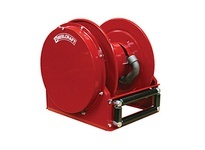 Series SD10000 hose reels are designed to facilitate larger diameter 3/4" and 1" hose up to 50 ft. They feature a high quality external drive spring and a heavy gauge all-bolted together frame. 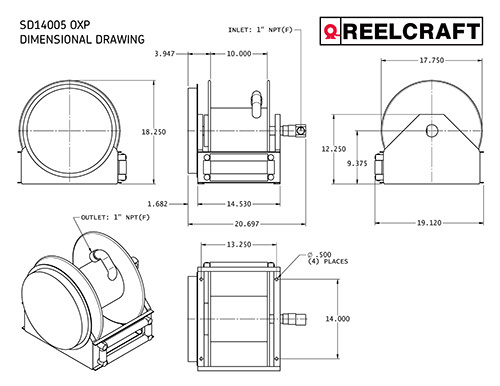 This is the most compact reel in its class, making it ideal for mounting in truck cabinets or other areas where space is limited. 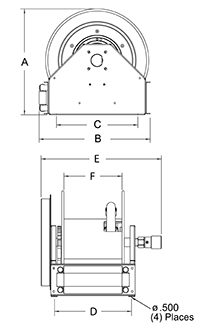 Robust Roller Guides - High impact UHMW composite roller guides have outstanding wear and corrosion resistance. Containerized external drive spring is easily and safely serviced. Ductile iron fluid path is strong and reliable. 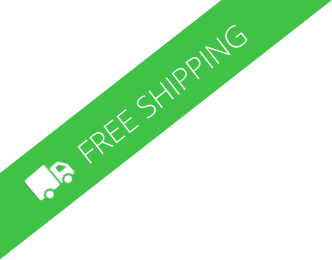 Oversized cast aluminum latch and ratchet combined with a stainless steel latch spring offer the longest possible life.